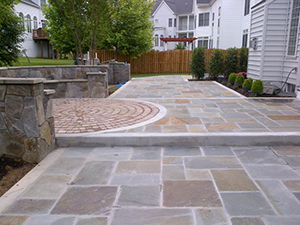 Homeland Contractors of Leesburg Virginia in Loudoun County serves your commercial or residential landscape needs throughout the Northern Virginia, Maryland and Washington, DC areas providing professional general landscape design, seasonal cleanups, and overall enhancement of the aesthetic beauty of your residential or commercial property. We can provide testimonials from many businesses and homeowners that are repeat customers in Leesburg, Burke, Tysons Corner, Vienna, Great Falls, Falls Church, Fairfax City, Fairfax County, Loudoun County, and all surrounding areas. We are top rated licensed providers so you can have confidence in our workmanship and results. 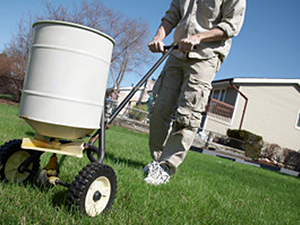 Our landscaping experts recommend plants, trees, and shrubs that will best suit your property. We deliver and plant whichever trees and grasses you choose. Homeland Contractors consultants will help you utilize mulch, gravel, and rocks to enhance the dynamics of your landscape design.